Action Paintball can be great fun for everyone including younger players of all ages. You’ll find some of the best paintball fields in Minnesota. Playing paintball games has no age limit. Paintball is a game for everyone to enjoy and is perfect for entire family. Low impact action paintball is a great way for friends and family to spend quality time together while exercising. Paintball games are filled with fun and breathtaking excitement. At Air Assault Paintball in St. Paul has everything you need to play. There is no need to buy special equipment to have fun! Convenient to the Twin Cities, our paintball field will have all the supplies needed for hours of enjoyment. Our facility offers the highest quality paintball rental goggles, guns, air tanks and field. Playing action paintball can provide great entertainment for birthday parties, youth groups, youth school sports and more! Right here in Saint Paul, MN we offer special packages and pricing for all types of parties and events. Increase your action paintball experience by ensuring your group will have the funnest time. Ensure your group or paintball party will be fun by checking out our paintball playing area. 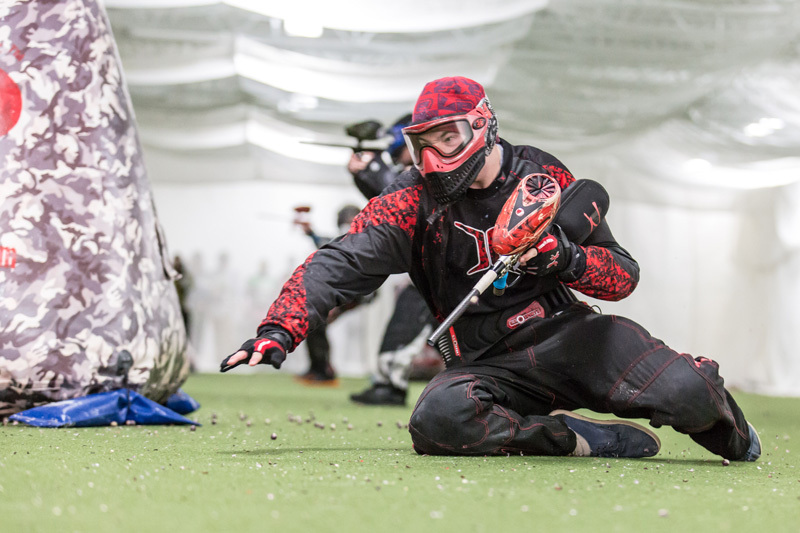 Players will quickly realize that there are very little restrictions playing paintball indoors. Limitations for play are established for safety but players may roam around the whole paintball center. The dead zone or viewing section may be the area where gamers go after they are removed from the game or would like to spectate. All players are thoroughly informed about equipment, safety and game rules before game play starts. All games that are played have a time restriction based on the referees discretion. Safety rules must be followed at all times and are enforced by both on and off the field staff. All players must wear protective goggle or mask wear before entering the paintball playing area. You will find several kinds of games which are performed in Air Assault Paintball. A couple of popular games include capture the flag, base defense President, zombie and more! Players are split into two separate teams. Players play both sides of the field and may tie a colored cloth or ribbon on their arms or guns to recognize team people. The best action is the gunfire between players shooting paintballs at one another. In many games, if your paintball breaks anywhere on anyone else’s body or gun, the gamer is eliminated out of that game. Players then leave the area using their gun elevated over their head to signal they have been eliminated from the game. Whenever a team has accomplished their objective, all gamers around the area are informed and the game is over. If you would like to play action paintball today or book a group for an upcoming date check out our online reservation system. Have questions? Just give us a call at 651-222-0300. There are No minimum group sizes and there are discounts for every type of occasion. Action Paintball can be played all the time! Please give us a call with any questions you may have or to learn more!